A native of Bloomington Minnesota, John took up cycling in 2006 and fell in love with the sport. 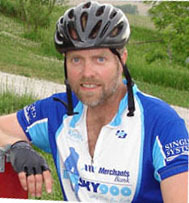 In the summer John regularly rides a 22 mile bike path near his home in Bloomington, MN. This winter John has been gearing up for the 900 mile ride near his home in Arizona, where he escapes the Minnesota winter to ride as much as possible. All proceeds donated during the Christian Elder Memorial 900 will be donated to the Kids N' Kinship Mentorship Program which John has been a mentor for five years. Professionally, John is the Chairman of Elder-Jones, Inc., a Minneapolis based company that specializes in retail and restaurant construction throughout the United States, Canada, and Puerto Rico. Kathy was raised in South Minneapolis and currently lives in Bloomington, Minnesota. Kathy started biking in May 2008, and fell in love with it after her first long ride. 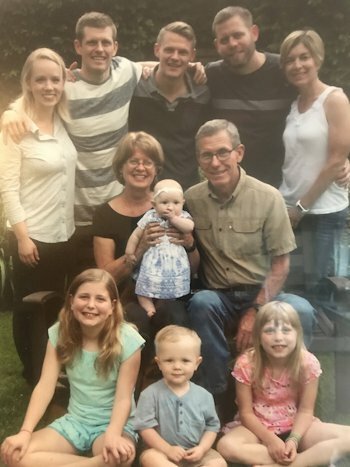 Besides biking, she loves hanging out in the sun and spending time with her 3 children, Devan, Keegan and Kaitlin, her parents and her siblings and their families. Kathy is still excited to be an "Honorary 900 Boy" and she is extremely honored to be the first woman riding with this very special group of guys, and for this great charity. 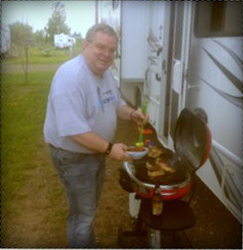 Dennis was raised in Wahpeton, North Dakota and attended the University of North Dakota in Grand Forks (Go Sioux!). He has lived in Bloomington for nearly 25 years and has been the Vice President of Finance at Elder-Jones since 2000. Dennis rides his bike several days each week during the spring, summer and fall months and is constantly adding new routes and trails for variety. Besides biking, he enjoys gardening, sporting events, traveling and spending time with family and friends. Fundraising for such a worthy organization is very gratifying for him, plus he looks forward to the camaraderie and challenge of the ride each year. Justin grew up in Bloomington, MN and currently resides in Lakeville MN with his wife, Sara, children Nolan and Leyna, and dog Chester. Although finding time to train for the CEM900 is a problem every year, he enjoys the ride and the camaraderie that goes with it. 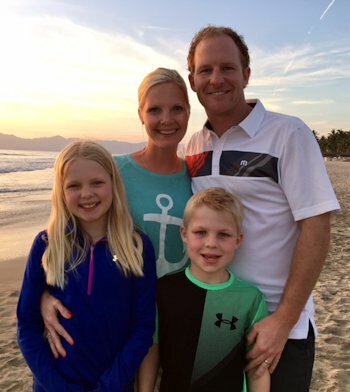 Justin enjoys spending most of his time with his family, either watching their sporting or academic events, traveling to remote Pacific Islands, or spending time out on Lake Minnetonka in the summer. He also competes a few times per year on the SCCA sports car racing circuit, flies airplanes, and also enjoys time with friends and family in the outdoors at the family farm in the fall. In his spare time he is the president of Elder-Jones, Inc., a Minneapolis based company specializing in retail and restaurant construction nationwide. Justin has worked at Elder-Jones since 2001, and enjoys the daily challenges of running the company, as well as the pleasure of working with a wonderful group of people. Jay is the only CEM team member to participate both as a rider and as a support driver. He first rode the Katy Trail in 2008, following up with three more years of pedaling before transitioning to support driver. Jay is a project manager with Elder-Jones,Inc. and has been with the company for more than 25 years. Jay has spent time in the past as a volunteer fire fighter & first responder, a Boy Scout leader, and now currently likes the idea of volunteering his efforts to help raise money for Kids n' Kinship. During the winter, Jay can be found riding snowmobile on Wisconsin trails He also enjoys helping with the race cars in the summer and outdoor cooking for large groups of friends. Jack Hohag and John Elder were part of the Bloomington High School crop of 1964. They enjoy reminding each other of the childhood antics of the good-old-days. Jack started biking after a knee replacement in 2009 when the surgeon told him there would be no more tennis and old man hockey leagues, so try biking. 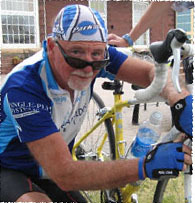 Fortunately, the biking evolved into an enjoyable sport and works well at keeping the knee happy, He and his wife, Linda, have lived in Corcoran, Minnesota since 1979. They have two children and two granddaughters. 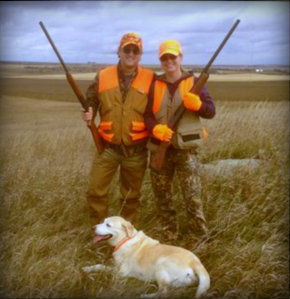 Kyle grew up in Bloomington, MN and currently lives in Savage, MN with his wife Sarah and dog Burleigh. After following the blog version of the CEM900 ride for many years, Kyle was finally able to join the closing ride segment for the 10th anniversary in 2015. The apple pie pictures and stories of wind-aided speed records were too much to keep him away! He is looking forward to another year on the trails and providing some smoked pork for the crew. Kyle enjoys spending time with friends and family while being outside tending to many interests including biking, boating, hunting, travelling, skiing and snowshoeing in the winter, and BBQing! Kyle works for Dassault Systemes, selling product management (PLM) software to companies in the Life Sciences industries. 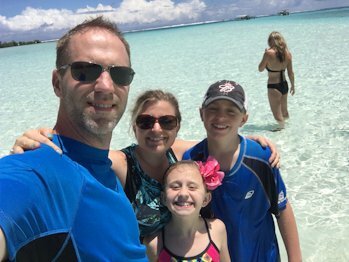 John is originally from Bloomington, MN and currently resides in Eden Prairie with his wife, Melissa, and children Ella (9) and Owen (6). The Konrad family also has two dogs Sadie(11) and Finnie (6mo). John was asked to make his first appearance in the CEM900 last year to provide drafting assistance to Justin, he was up to the challenge! John has been biking for the last 4 years mainly in the MS150 that includes a 2 day bike ride from Duluth to White Bear Lake that covers 150 miles. Since being promoted to the  big leagues his training rides are more focused and tend to be all uphill and into the wind. In his spare time, John enjoys golfing and coaching his kids hockey teams in the winter. Coaching is an amazing opportunity to get involved in the community as well as allows you to meet new people. John is currently employed by AmeriPride Services as a Project Manager. AmeriPride Services is a family-owned uniform rental and linen supply company. Matt grew up in Eau Claire, WI then when he graduated high school he moved to Saint Peter, MN to attend Gustavus Adolphus and that is where he and Justin Elder crossed paths. Matt currently works in medical device industry doing compliance law. His hobbies are fishing and hunting in which he enjoys spending fall weekends at his house in North Dakota and the Elder family farm. 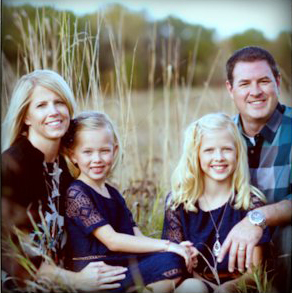 Matt now lives in Prior Lake with his wife Lori and daughters Kyra (11) and Camryn (7). I was born in Burnsville, MN and grew up between there and Apple Valley, MN. 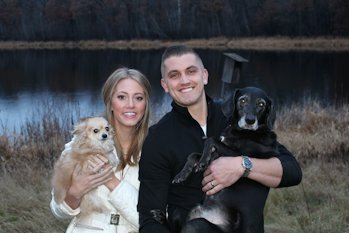 I currently reside in Prior lake, MN with my wife Jess, and our two dogs Lucy and Charlie. I'm the Branch Operations Manager for Baxter Credit Union in Minneapolis. I started riding in 2014 after some serious convincing from my friend Tony, and fell in love with it. Since then, you can most likely find me during the warmer months riding around the roads and trails of the southwest metro. When I'm not in the saddle, my wife and I spend most of our spare time traveling, on our boat on prior lake, or with our family and friends. Excited to return to the ride for my second year to rescue another dog, take 537 selfies, keep up with Dennis (not likely), ride with the wind, eat way too much food, raise money for an incredible cause and most importantly, ride in the memory of my cousin Christian. Jim grew up in Bountiful Utah. While attending Brigham Young University he met Jean, and fell in love with her, and her native state of Minnesota. They have 3 boys, 2 beautiful, talented, daughters-in-law and 4 grandchildren. After 39 years in Minnesota, Jim has gained a respectable Midwest accent, but failed miserably at the polka. 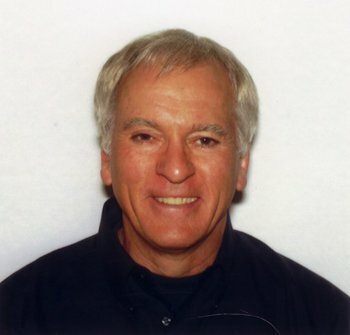 In 1985 Jim started a commercial remodeling business from which he retired in 2015. He now manages his real estate, travels and spends time with his family. Among the many good things that have happened to him in Minnesota, is being a neighbor to John and Sherry Elder. With his retirement he finds time to ride in the CEM 900 instead of just listening to the stories. He is looking forward to another round of riding and fund raising for Kids N' Kinship.